Reestablish your authority while building trust. Identify and enforce nonnegotiable rules. Use rewards and incentives that work. Communicate and problem-solve effectively—even in the heat of the moment. Restore positive feelings in your relationship. Develop your teen's skills for becoming a successful adult. Vivid stories and answers to frequently asked questions help you put the techniques into action. The updated second edition incorporates new scientific research on why some teens have more problems with self-control than others. Practical forms and worksheets can be downloaded and printed in a convenient 8½" x 11" size. 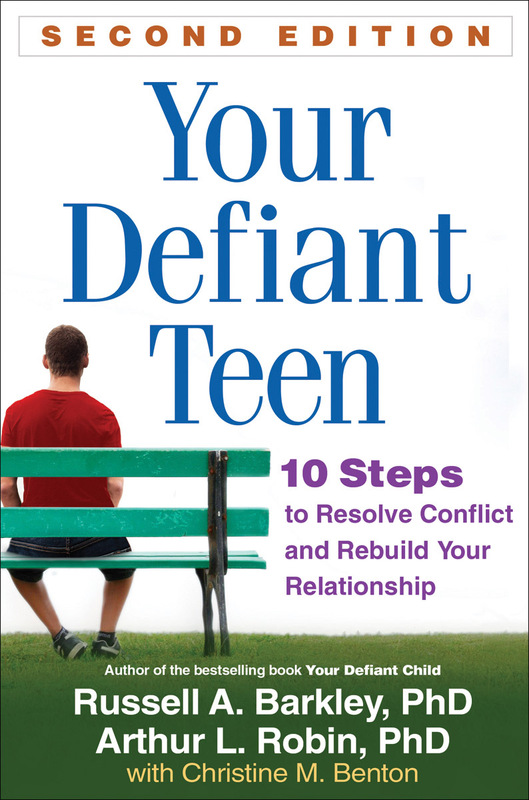 Mental health professionals, see also the authors' Defiant Teens, Second Edition: A Clinician's Manual for Assessment and Family Intervention. For a focus on younger children, see also Dr. Barkley's Defiant Children, Third Edition (for professionals), and Your Defiant Child, Second Edition (for parents).